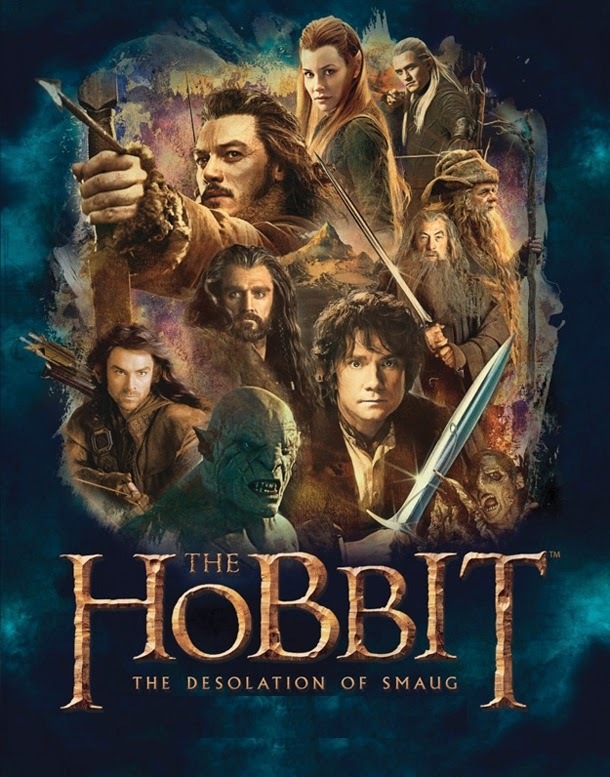 The Hobbit: The Desolation of Smaug is the second film of the second trilogy by Peter Jackson from The Hobbit books and although these films are long, for me they are hardly ever boring. let us not forget that this was the fourth highest-grossing film of 2013 making it the 24th highest-grossing film of all time. It also grossed $209 million worldwide on its opening weekend itself. This second trilogy is the story of Bilbo Baggins as a titular young man who has come into possession of The Ring of Power which is now starting to effect Bilbo. Every time he uses is it takes him a little longer to regroup his senses. As their quest continues, almost all of the originals are back including Gandalf The Grey who seems to take his leave at the worst possible moments for the group only to return at the best time, as well. The second film picks up as our heroes are continuing their journey to reclaim their homeland of Erebo. In doing so they must find a stone called the Arkenstone (No relation to David Arkenstone). The Arkenstone is being held by Smaug, a fire breathing dragon who appetite for carnage is only matched by his love of gold. The voice is provided by Benedict Cumberbatch and his work is terrific, here. Since these films are mostly chase pictures with the Orcs and other hideous creatures chasing our heroes there is really not a dull moment. Jackson knows how to frame the action and the choreography is excellent. But these are not just action films. They are well written films, too that are thoughtful, noble and intelligent. Usually the more people you have working on the same scripts the worse the scripts are. Too many cooks in the kitchen, so to speak. Here, Fran Walsh, Philippa Boyens, Peter Jackson and Guillermo del Toro have written a great script for a film that, aside from the the characters, does not have much to do with the novel series by J. R. R. Tolkien. They have created a new and exciting film that is fresh, inventive and loads of fun. I especially like Martin Freeman as Bilbo. He is a fine actor who had some big shoes to fill after Ian Holm played the elder Bilbo in the first Lord of The Rings trilogy. Freeman's Bilbo is strong, smart and brave as he and his friends battle no shortage of villains. The Hobbit: The Desolation of Smaug does introduce a new character named Tauriel played by the lovely Evangeline Lilly and she is as gracefully elegant as she is dangerous.The film has a big build up for the climax that will leave you hanging until December of this year when the third and final chapter is released. The original luster may have worn off The Hobbit films, for some but I have enjoyed all of these films and found them to be worth watching even if they are extremely long. Just because we become familiar to the plots and devices of the plots does not mean they lose any of their freshness. Quite the contrary. Can't wait for the next one to release. Great entertainment from Jackson, as always. You said it, Woolgatherer!! Thank you so much for reading and responding to Websnacker! !